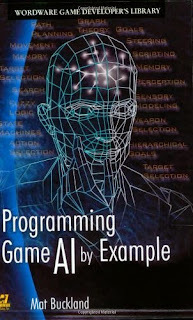 For my Artificial Intelligence class this semester we kicked things off by reading the first few chapters of our book. 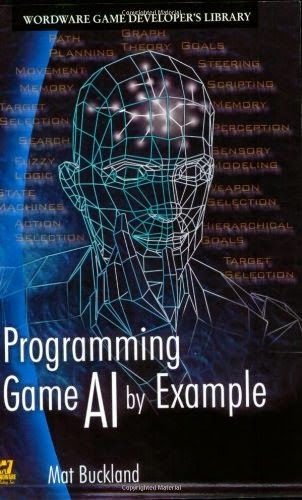 This will provide me with the concepts related to AI and video games. We will be planning, decision making, and testing concepts of AI that add value to simulations and games. The first chapter was pretty much a refresher course on Cartesian Coordinates, Functions, Equations, Trigonometry, and Vectors. Chapter 2 moves on to talk about the Finite State Machine or for short FSM. These are coders instrument of choice to imbue a game agent with the illusion of intelligence. For our first assignment, we were to create Transition and FSM diagram using at least 2 agents and 6 states using an example from a game. 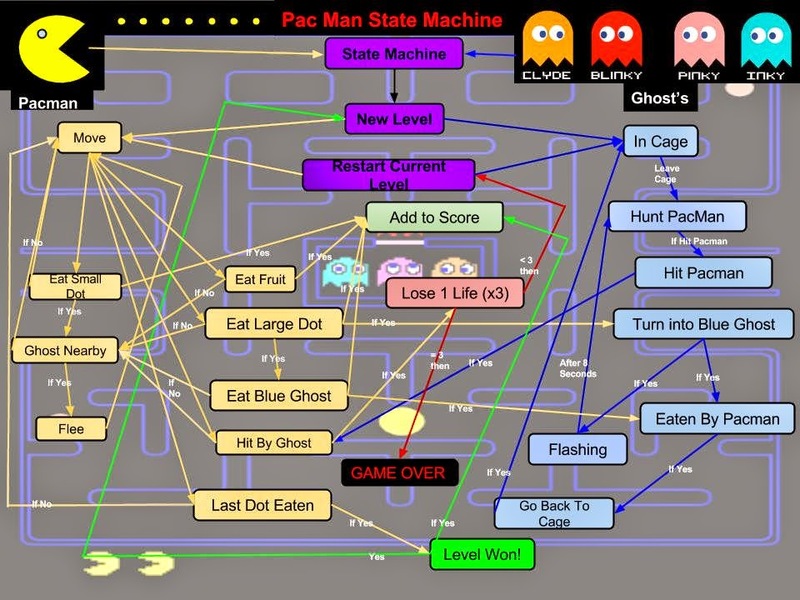 After reading through the AI book, I got my inspiration from their example using Pac-Man.